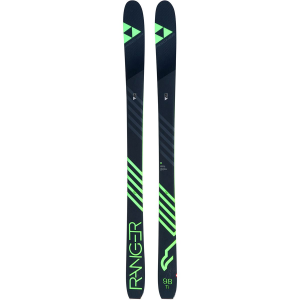 Middle children have a reputation for being forgotten about, but that's not something the Ranger 98 Ti Ski is going to have to worry about. It's already garnered plenty of attention from its parents, the master Austrian engineers at Fischer, and it'll definitely be in with a shout to be the best-loved child in your quiver. 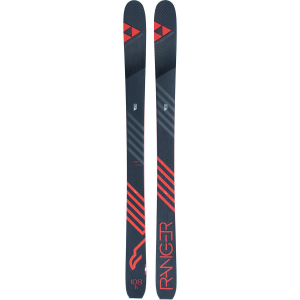 While the Ranger 108 is fatter, and the 90 is edgier, neither of them hit the gigantic, all-mountain, pow-to-hardpack sweet spot of the 98mm width, along with the pow-, crud-, and corduroy-gobbling Freeski rocker that lets you use the 98 as an everyday stick--no matter which coast you call home. Fischer's Freeski rocker profile is pretty classic, with a significant rise at the tip, camber underfoot, and a gently raised tail that helps you switch up your turn shape, pivot on a dime, and handle the unexpected obstacles A tip made of carbon fiber reduces chatter, and Fischer's Aeroshape design thins the ski out towards the edges while keeping things thick in the middle, which helps the ski stay torsionally stiff when you're edging hard. There's also a layer of stiff and superlight carbon, along with a Titanal laminate, that gives the 98 some backbone when you feel like dropping the hammer.  The Ranger series isn't just a lineup of in-bounds machines, though. 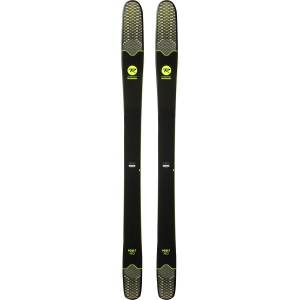 Fischer made sure they were backcountry capable by milling the Air Tec core with a honeycomb design that dramatically reduces material without making the ski feel overly soft. 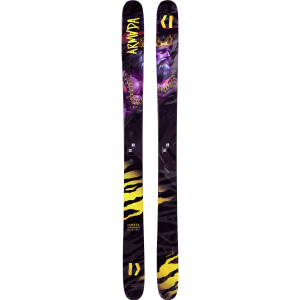 The poplar and beech wood core feels quick and nimble, and it keeps the 98's weight manageable for medium length tours when you want to crush the descent, not just survive it.